An aged brass finish and light amber glass come together to create a warm, stunning overhead lighting design in this Hudson Valley Lighting mini pendant. Thick mouthblown glass with tiny bubbles adorns this amber glass dome-shaped stunner. 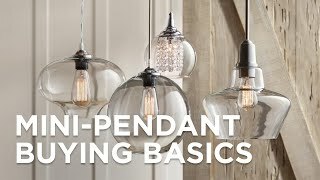 Hudson Valley Lighting's Rousseau mini pendant has an opening at its base, making it easy to change bulbs or swap them out for a style best suited for your space. The smooth cord and aged brass details add urban appeal. Hang it solo or in clusters for an ultra-chic finish. 7 3/4" high x 6" wide x round canopy is 4 3/4" wide x hanging weight is 7 lbs. Includes 8 feet of black cord. Includes 40 watt candelabra base bulb. Dome-shaped mini pendant with urban appeal; part of the Rousseau collection by Hudson Valley. Aged brass finish; metal construction; light amber glass shade.